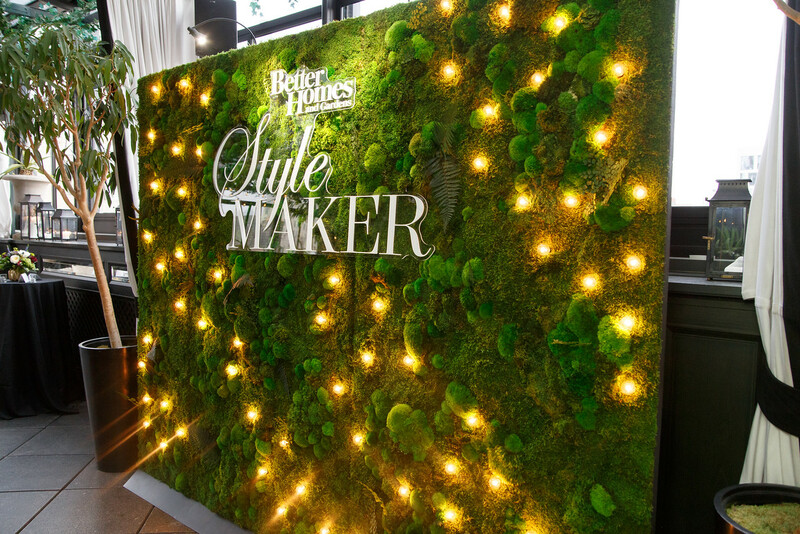 I’m still pinching myself and was so excited when Better Homes and Gardens invited me to their annual StyleMaker event in New York. I hopped on a train and headed in for an inspiration filled day. 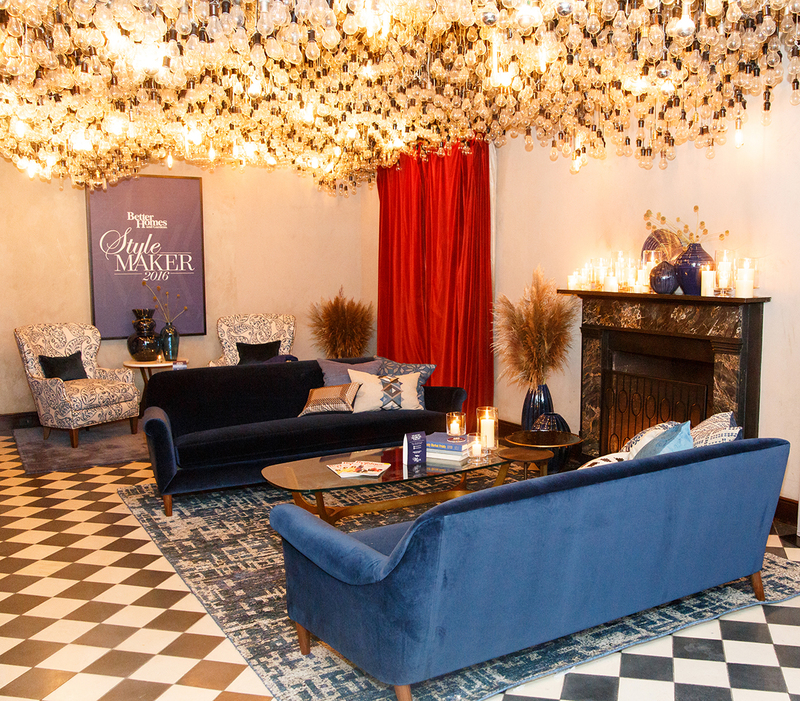 The event was held at the Gramercy Park hotel and I was greeted with a very cool living wall of moss and this amazing lounge complete with lightbulb covered ceiling. 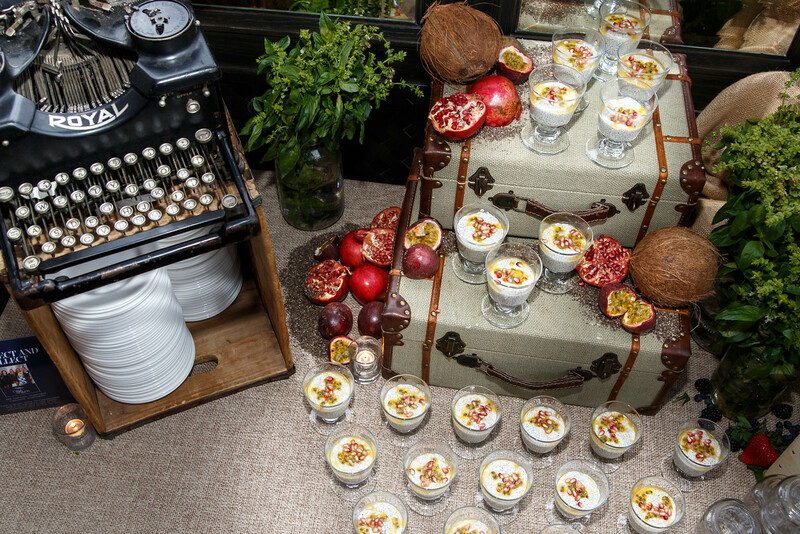 I loved the vintage touches on the buffet table. The photographer had a magical camera that added 20 lbs to me! The best part was catching up with friends and meeting new ones. 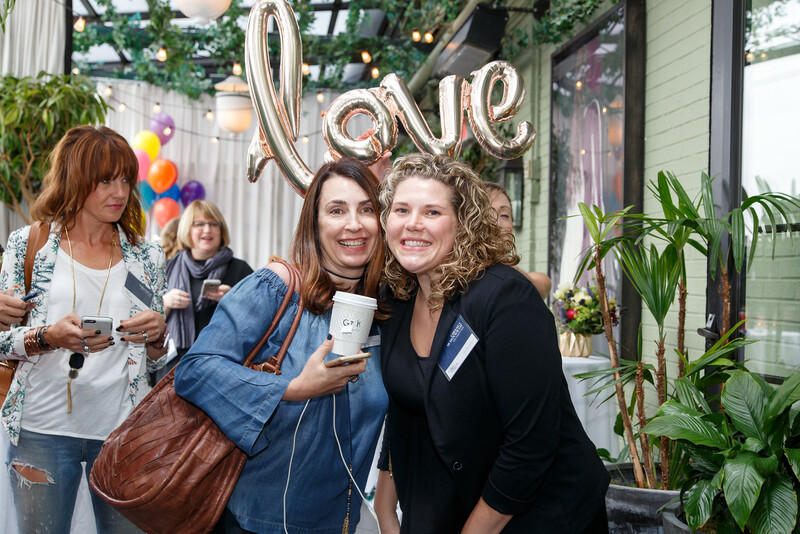 Drinking tea with my friend Chelsea of Two Twenty One (with the adorable Karla – BHG social media guru – holding the love balloon over us). 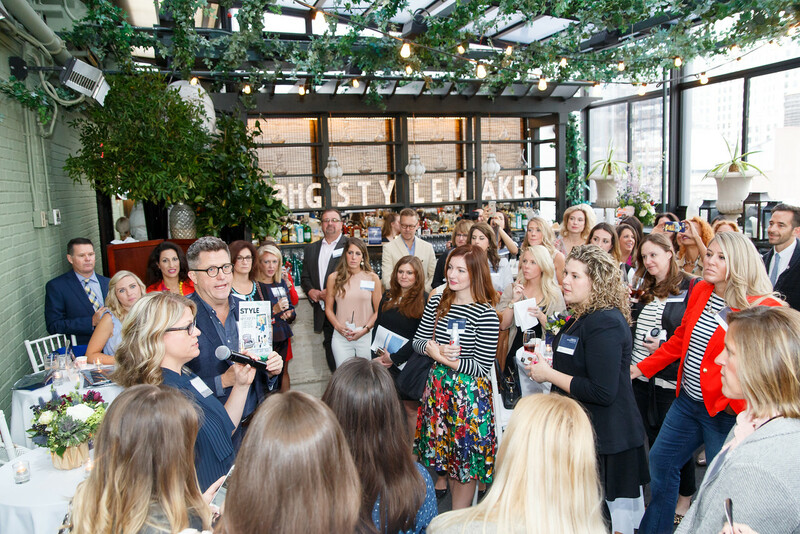 The day began with the witty BHG Editor in Chief Stephen Orr introducing us to the special Stylemaker issue. It’s fun to see so many of my talented friends featured in this beautiful issue! 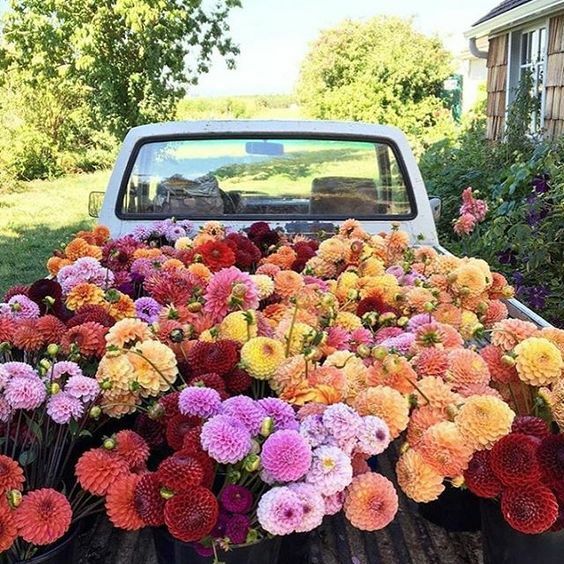 There were break out sessions on video making and flower styling and I was blown away by the amazingness that is Floret Flower Farms. 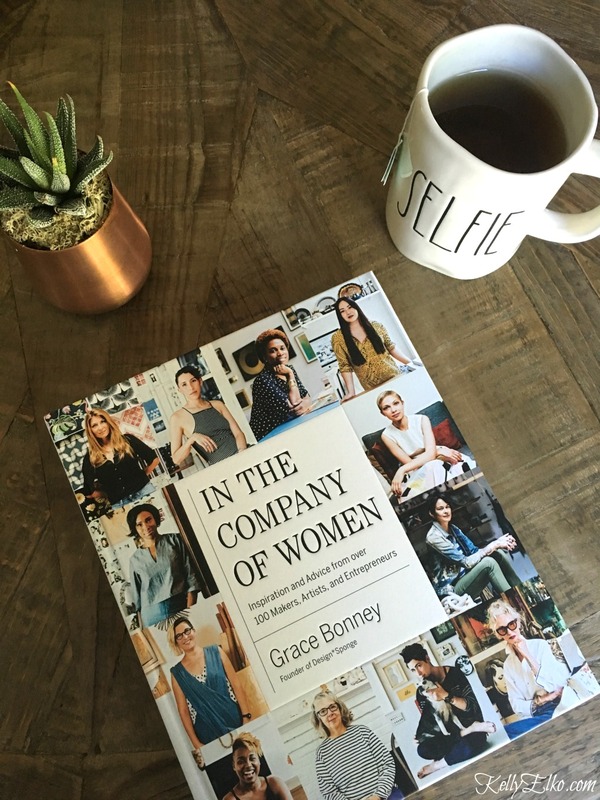 Grace Bonney of Design Sponge talked about her inspiring new book, In the Company of Women. 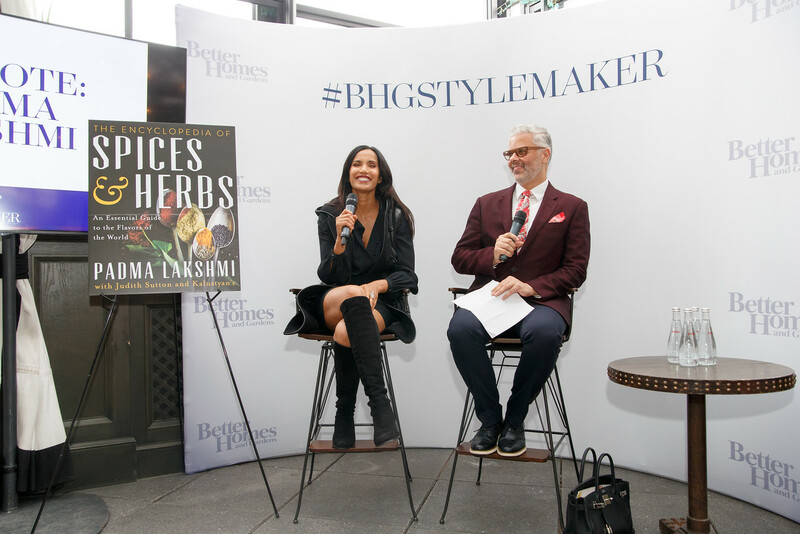 Padma Lakshmi entertained us with stories of her life, love of cooking and her new book The Encyclopedia of Spices & Herbs. 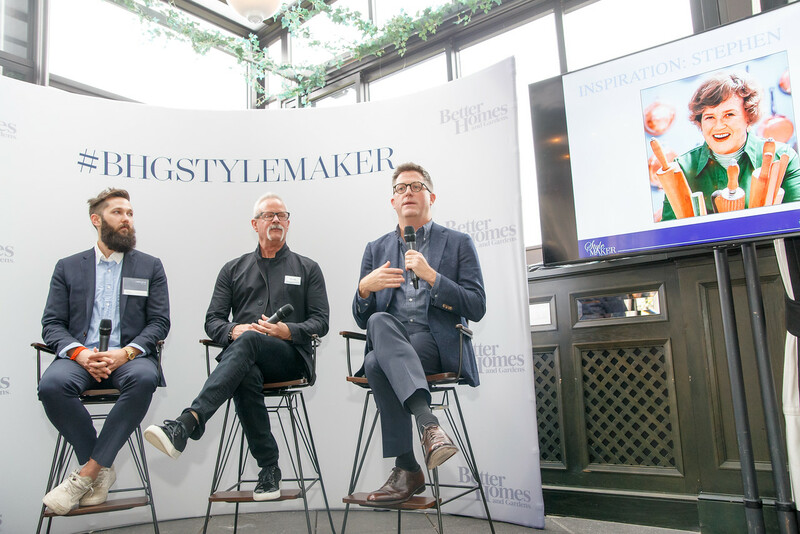 At The Creativity Clinic, we heard what inspires these three creatives: Chris Benz – Creative Director at Bill Blass, Woody Woodward – CEO of Crate and Barrel and Stephen Orr – BHG Editor in Chief (and learned about Stephen Orr’s deep love for Julia Child)! After the days events wrapped up, we headed upstairs for a fun cocktail party and some more mixing and mingling on the gorgeous terrace. Jen from The Chronicles of Home is officially my new BFF! With the clock about to strike midnight, I jumped into my pumpkin … I mean uber and headed home. I couldn’t wait to pour over this book that Grace Bonney gave us. Unfortunately, I had to miss the brunch at Crate and Barrel the next day but I was there in spirit! 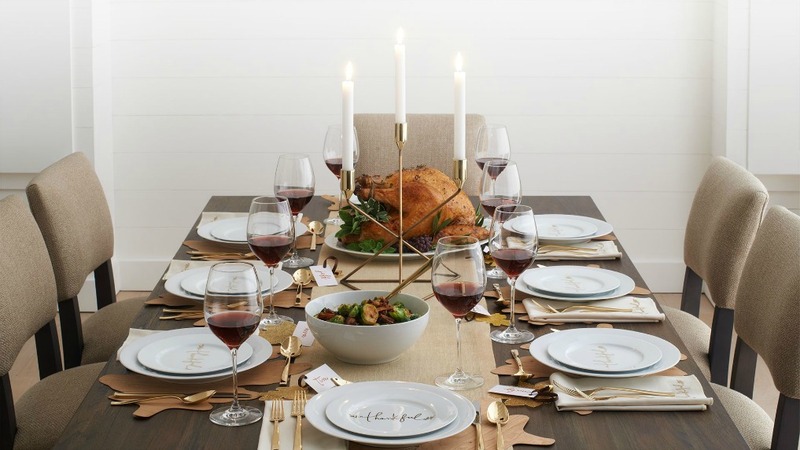 I pretty much want this entire table setting magically transported into my dining room. Thanks for letting me share a peek into my day with Better Homes and Gardens. You know I love that photo of you and Jennifer! Thanks Julia – I am so glad we got to hang out! What an exciting day! Congratulations to you, it looks like you had a wonderful time! Thank you Kathy – I always enjoy any time I can get out of my sweats! It was a great time Pat! 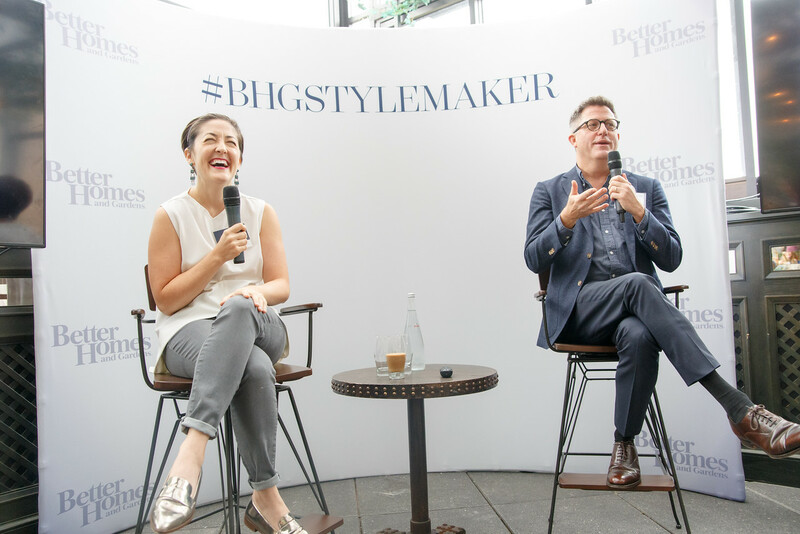 How exciting to have gone to the Style Maker’s Event! Thanks Shirley – it was a fun day! Wow girl Conrats! Looked like a ton of fun. Thank you Hope – I had a good time! Looks you had lots of fun learning a lot of good stuff and meeting like minds. 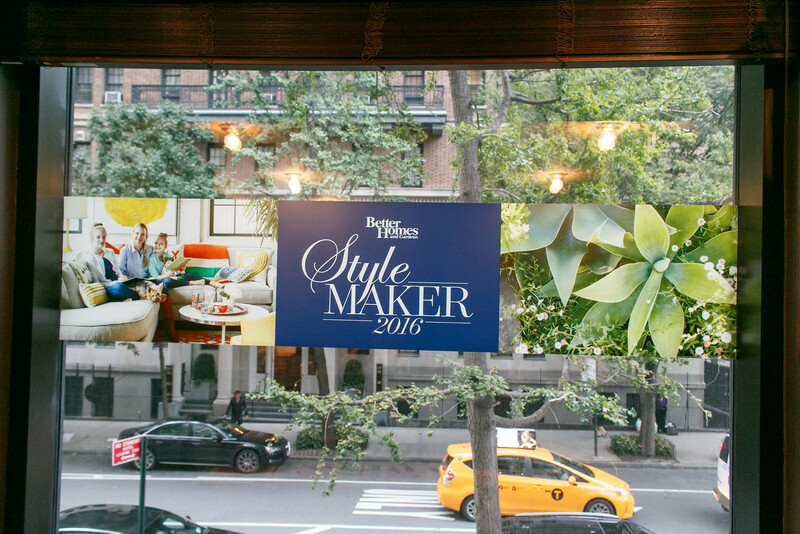 Congratulations Stylemaker. Any time I can get out my sweats and into the city is a good day in my book Marlene! great recap. looks like a lot of fun! Thank you Laura – it was a fun day! Congratulations Kelly! You definitely deserved to be there! I can’t imagine all the talent that inspires me so much right there in one place! Oh how I’d love to be a part of that creative world and make all the wonderful friendships that ya’ll have! Looks like you had a blast! Kudos to you Ms. StyleMaker, lol. Congrats! You deserve this, you put a lot of work into beautifully creating your home and sharing it on your blog. Wow, how exciting! Congratulations Kelly! I need to work on coming out of my shell in photos. Always so stiff and formal. LOVED meeting you, mwah!!! Oh please girl – you’re fabulous! I am so glad we finally met! 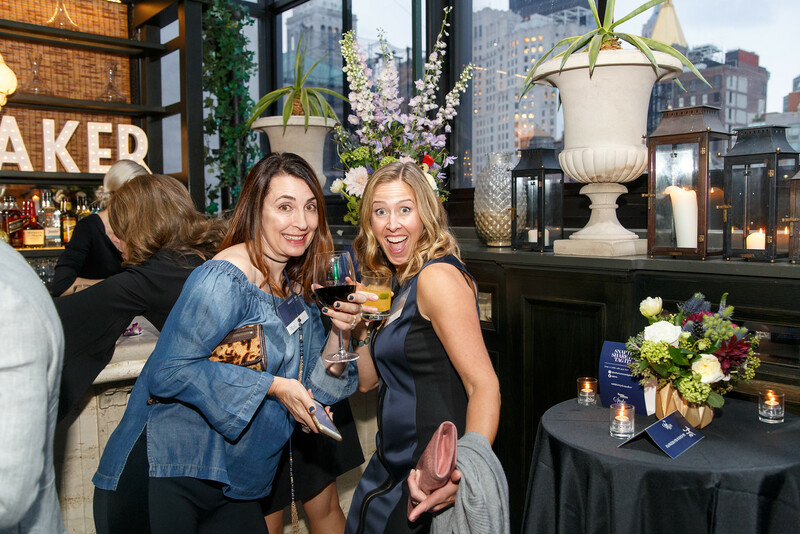 How fun and very cool you were invited to attend! I am a HUGE Grace Bonney and Design Sponge fan. Cannot wait to read her new book. Thank you Karen – I love Design Sponge too and the book is so inspiring!